An endodontist is a dental specialist who treats problems related to the nerves of the tooth. 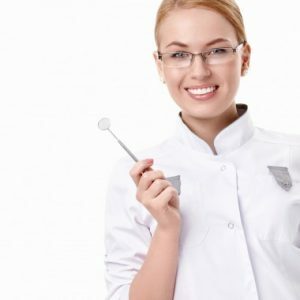 After completing dental school, endodontists receive special training in endodontics, or root canal therapy. Endodontics is the field of dentistry focused on the study and treatment of the dental pulp. Pulp is the innermost layer of the tooth, and includes the nerves and blood vessels that keep the tooth healthy and alive. If this area becomes injured, decayed, or diseased, it can cause pain and sensitivity, and will eventually lead to the death of the tooth. When this occurs, the only viable treatment is an extraction. The goal of endodontic treatment is to restore the health of the tooth and prevent extraction. The most common treatment is a root canal. When your dentist performs this procedure, he or she will remove the infected portions of the pulp, cleaning the tooth, and filling it to prevent future infection. The affected tooth is then capped with a crown or other restoration to restore its structure and appearance following the procedure. If infection returns to the tooth following a root canal, your dentist may recommend another endodontic treatment. Other endodontic treatment options include apicoectomy, pulpal debridement, pulpotomy, and root canal retreatment.